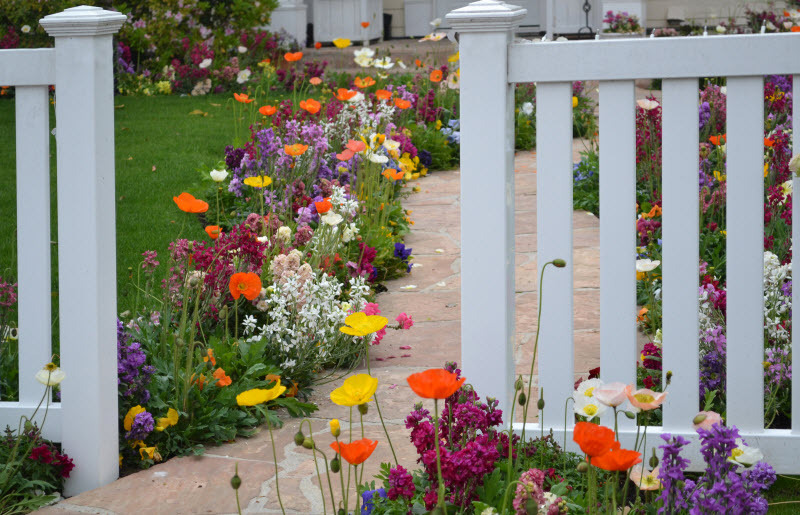 When you think of any kind of gardening, the first thing that pops into your mind is flower gardening. Flowers and gardens being naturally synonymous with each other. And dedicated gardener that you are, you’ll naturally be doing your own flower gardening this year. Flower gardening need not be limited only to summertime. If you plan carefully and plant ahead of time, your garden can be filled with an abundance of flowers for most of the year. More on this at Gardening Info. If we start by seasons, then for spring flowers, the best thing you could do would be to plant bulbs. Any nursery will have them, and if you’re more inclined towards the exotic, and rarer flowering bulbs, there’s a good chance you can have them ordered specially. Favorites amongst bulb lovers are early springtime Crocuses, and cheerful Snowdrops. Tulips though, are by and away the most famous of bulbs in demand by flower gardeners, and are available in a variety of shades, including a black-colored one, which is really more of a deep maroon and one of those rare flowers I was talking about earlier. Remember that all spring flowering bulbs should be planted in mid autumn, as this is the best time for them. Come any closer to winter and you’re in danger of losing your bulbs altogether. Moving through to summer, we find that perennials are a firm favorite for flower gardening as they yield blooms almost continuously throughout the season, and sometimes beyond. With a little luck and care, you’ll also find that most of your perennials will last through to next year, and the year after that, and, well you get the picture right? You’ll also find that as the years and the seasons wear on, your perennials will become fuller, and generally will become more abundant than the first year you planted them. As autumn gently closes in most flower gardens are left bereft of anything but a few small hardy plants. If you’re into more dedicated flower gardening however, that need not be the case for you. Hardy, drought resistant plants like Asters number among the many types of fall flowers available, and will look stunning in late summer/early fall, Generally, autumn plants will grow to a good 3-4 feet in height, and have vivid colors, as well as the more genteel pastel colors to choose from. Ornamental grasses are another favorite and will nicely complement your fall flowers. To round off the year and your efforts at flower gardening, don’t despair as there are many winter blooms available. Amaryllis, Hyacinth, and Narcissus are a few of the more common known flowers and are available in bulb form. If you want something a little more out of the ordinary, you could always try Winter Jasmine, or Winter Honeysuckle.